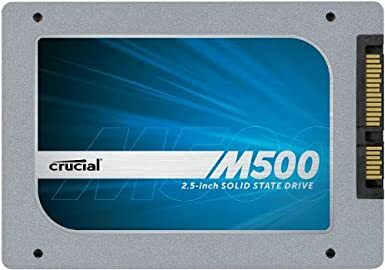 Crucial 240GB SSD only £77.96 at Amazon! Cheapest I've ever seen an SSD of any reasonable size. £77.96 is exceptionally cheap, works out only just over 30p per gigabyte. Crucial drives get excellent reviews and with Amazon's customer service you could get much more of a bargain than this. These are 2.5" drives by the way, perfect size for laptops but if you want to get one for a normal PC just get a a 3.5" bracket - you can get these for a couple of quid from Amazon. Just noticed, this is the first deal posted as well! Yay for me. Highly recommend Crucial for SSDs. Not only are they the cheapest on the market but they're actually very reliable. I've got the smaller version of this SSD, it's great! +1 from me!